Geely Design has in less than six years gone from startup to world class. 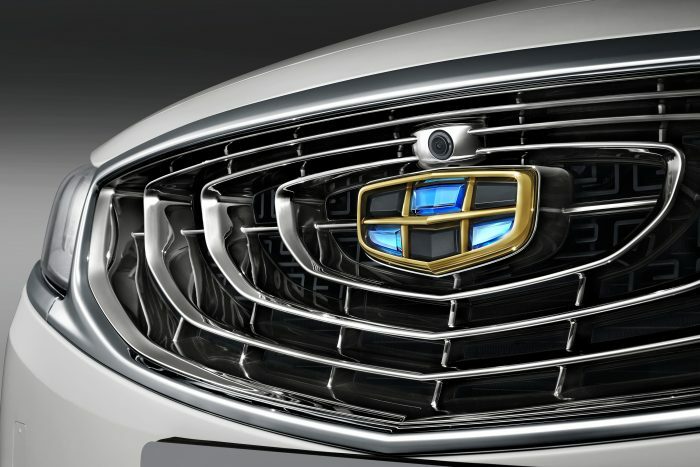 We talk to Shanghai Studio head Guy Burgoyne about crafting Geely’s identity. “The cost of tooling to make an ugly car costs the same as a beautiful car but if you can give emotion to plastic, metal and glass – something to pull on people’s hearts like the most successful car brands on the planet, then you have a chance of success” says Guy Burgoyne, Shanghai Studio Chief of Geely Design. To say that Geely Design over the last few years has gone through a revolution is an understatement; before 2012 it simply didn’t exist. There were three brands with a rag-tag collection of cars by different contracted design studios both in China and overseas. Geely’s Third Generation of cars, or Geely 3.0 as they are called, has changed that to create a coherent range with an ever evolving idea of what a Geely car should look like. Today Geely is ahead of the curve with many Chinese OEMs only now trying to emulate Geely’s approach, and some quite literally copying the design influences. “We’re a victim of our own success. Every time we do a show car the next week everyone involved is getting phone calls and job offers” says Guy. Under his leadership the Shanghai studio has not just become a leader in China but become world competitive. When Peter Horbury became Executive Vice President of Geely Design Group in 2012 he set about creating the company’s design capabilities from scratch. Today the Group has design facilities in five locations around the world. Part of the process involved recruiting some of the most innovative talent available. Guy initially joined the Shanghai studio in 2013 as head of interiors before becoming leader of the whole Shanghai operation a year later. Early in Guy’s career he had worked for Volvo under Peter and the chance to work with him on an exciting new project was the main pull that brought Guy to Shanghai. “Peter makes you believe that you are steering the ship but every once in a while he corrects the course a bit” says Guy. Giving this feeling of responsibility and trust works very well with creative people believes Guy. Like all parts of Geely’s operations the Shanghai studio works closely with its counterparts in Gothenburg, Barcelona, Los Angeles and Cixi. In Shanghai the main responsibility is for Geely Auto with design support for Terrafugia, the Geely Holding Group owned American maker of flying cars, and Proton Cars. Interest in the work of the design team though comes right from the top. Resting on a table in Guy’s office is a large fluted vase devoid of any flowers. “When we moved into this studio Li Shifu (Chairman of Geely Holding Group) presented me with this vase. I said thank you for the gift and he told me it wasn’t a gift. I was quite embarrassed and he explained that while it was for me, it was inspiration. Li explained why he liked the vase. These twisting flutes on it give this inanimate object the perception of movement so giving it emotion” explains Guy. The twisting rear light design of the new Borui GE is in part inspired by the vase. Unlike some of its Chinese competitors who strive to make European cars Geely is not ashamed to embrace its Chinese heritage. “There’s a very careful balance for making a car that is attractive to anyone in the world but we think there is nothing wrong with having elements that signal this is from China” explains Guy. Shanghai itself has proven to be an inspiration. Despite having travelled extensively Guy when he first arrived in China suffered the worst culture shock he had ever experienced. Landing at Pudong Airport with his wife and daughters, then aged one and three, in tow along with ten suitcases of possessions he was staggered by how different it was and had to fight the urge to leave. Today he enthuses about the architectural history, the board games people play on the streets, stories, proverbs and sayings “For any designer that difference is a source of inspiration or energy” says Guy. Geely has carefully crafted its own design language for Geely 3.0 whereas previous designs had nothing holding them together as a range. “The aim is for the general proportion from a distance of around 200 metres away to be very contemporary and not necessarily location specific. That is to do with the stance, setting of the body and wheels. Our expanding cosmos grille is very recognisable from that distance and we think there is a value in that, to be recognised early on when you meet a vehicle, it’s like being introduced. Cars that stay anonymous until you can read the badge are very forgettable” says Guy. When Guy started at Geely Design in Shanghai there were around 25 employees. “It was very small at first, we simply didn’t have a lot of functions, and people were multi-tasking” says Guy. Today across the Chinese sites he is in charge of around 250 personnel. Back then they were working on 3 projects simultaneously, now it is around 50. “What we deliver from this department is the definition of the surfaces, the interior, and the exterior – essentially the parts the customer sees. Then there is the definition of the colour and finish of the materials. Also it is the definition of the touchscreen and controls” explains Guy about the department’s work. The team is drawn from across the globe. In the beginning newly graduated Chinese designers were teamed up with head hunted talent. With the sheer volume of projects these youngsters in five years have gained the equivalent of fifteen to twenty years experience meaning that there is no longer a need to do this. 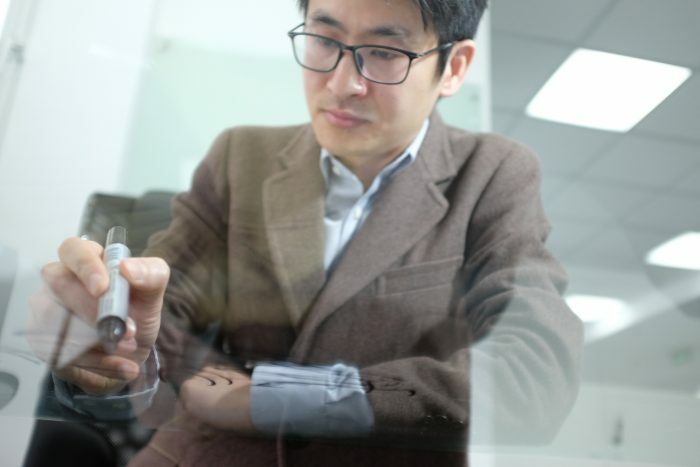 Shanghai now has one of the highest densities of car design studios in the world which means the related infrastructure needed such as suppliers to make models are all there as well. “I’m ruined now, I don’t think I could ever go back one of the old established brands because at Geely we are very dynamic and very good at making decisions. The speed we get cars to the market and get things done is very different to anything I’ve done before. When people are engaged and enjoy their work they are effective and put a lot of effort in” says Guy about his experience.